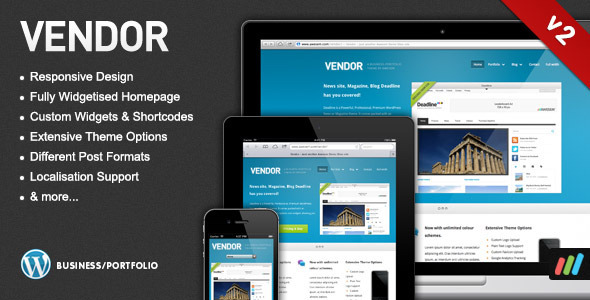 Vendor is a Powerful, Professional, Premium WordPress Business / Portfolio theme which will showcase your products, portfolio or business services. It comes packed with an impressive array of custom options and widgets allowing you to control the look and feel. Whether you’re a freelancer, startup or small business, Vendor has you covered. 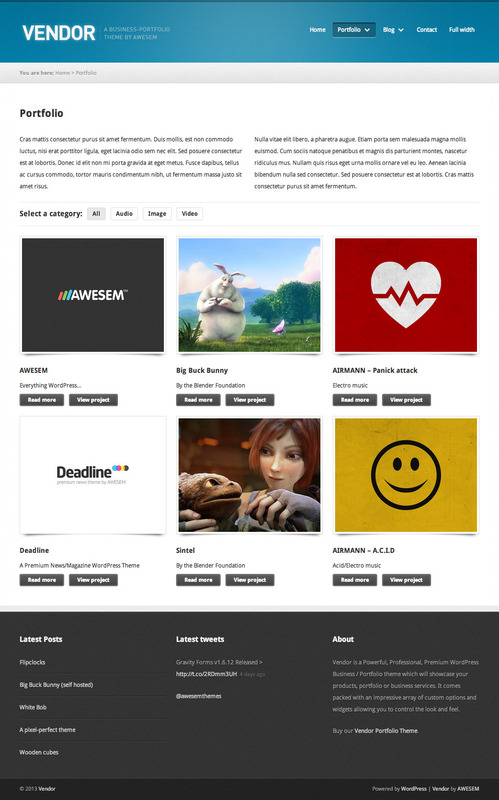 Using the theme options and widgets you can control content layout, manage your product showcase, manage your own advertising, pull in your latest tweets, show your latest video, display your latest photos and much, much more. 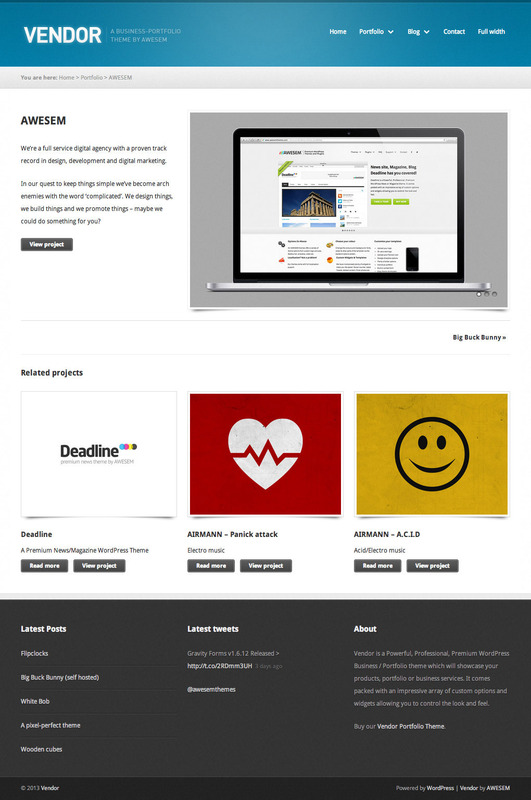 Vendor looks great out of the box but also acts as the perfect blank canvas for those looking to customise and develop their own business / portfolio site. v1.0.7 – 19 December 2011 – Library version updates, minor IE and CSS bug fixes as well as a new theme options and new XML sample file. 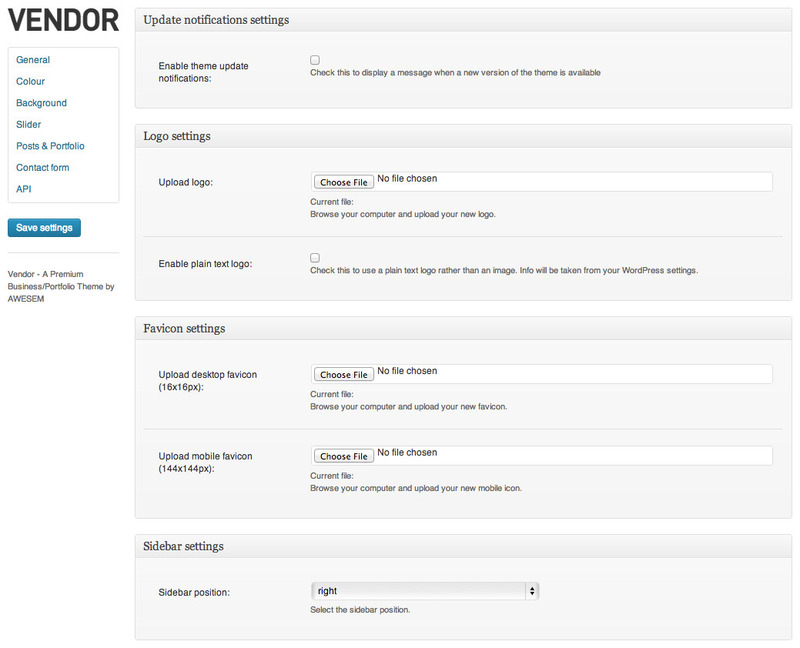 v1.0.3 – 25 May 2011 – jQuery Validation Plugin Version v1.8 and Google Analytics position backward compatibility fix. 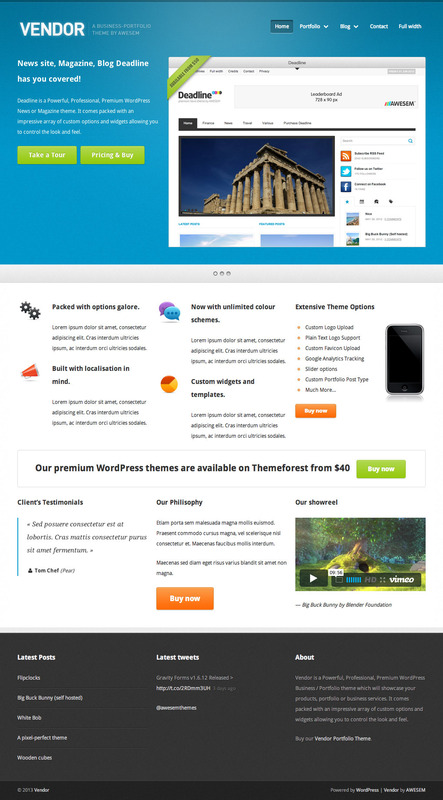 v1.0.2 – 19 May 2011 – Updated Slider, added new colour, various bug fixes, e.g. nested short codes, flashing navigation and added French and German .po / .mo files.